39 OLDS SHIFTER PROBLEM NEED CABLE. fixing stuff thats been "buggered" up, weve all seen it!! Keep on the lookout for me..pm message if poss. I'm guessing nobody has it. There are just so few prewar Olds left. Maybe these guys? I didn't see one listed, but might be worth a call. You might try the general aaca "parts wanted" section. I don't see much activity in here. EDIT: If you can come up with a part number it might help. 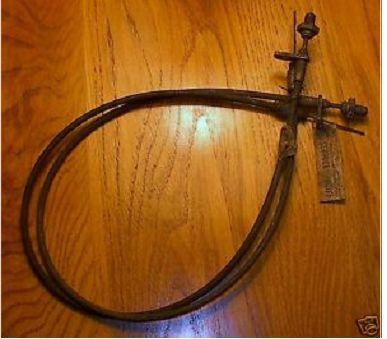 The "one cable, one lever" setup was used in more than one GM make. There is at least a possibility that cable was also used on something with easier parts availability (like a Buick). Edit 2: Olds made Sixes and Eights. Which is this? 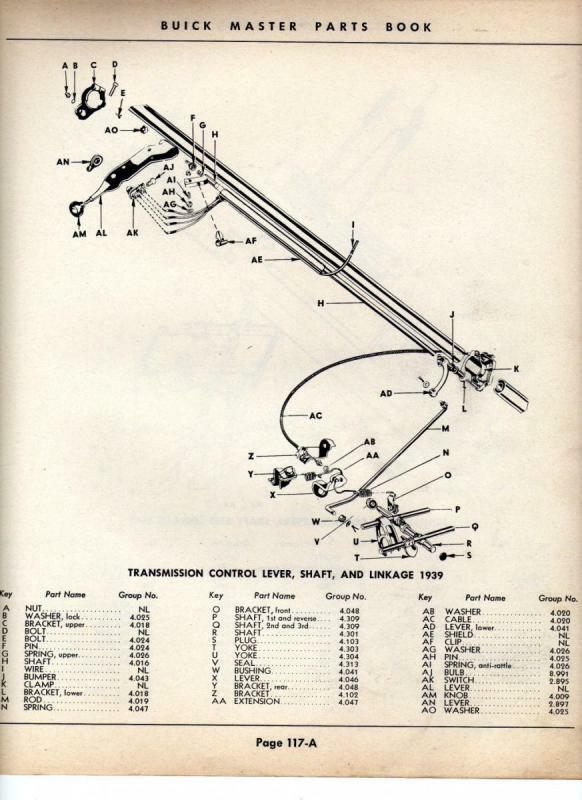 I can tell you that the LHD part number for that cable, from the 1948 parts book, is 411641 (sold for $1.75). No specs given. Listed for 1939 only. The gentleman I would refer you to passed away a few years ago. His family is selling his parts inventory, but they want to sell it as a lot, not piece by piece. but all of our old timey walk in junk yards are gone in northwest ohio area..
Looks to be the same design as 1939 Buick. A 1 year only design.